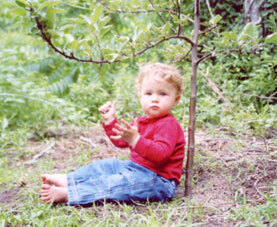 When I cut your umbilical cord, I said out loud -- "You are your own man." I hadn't prepared that little pronouncement; it came out spontaneously. Though you were freed of your physical tether to your mother, my statement wasn’t that profound. Since then however, I've pondered its broader significance. 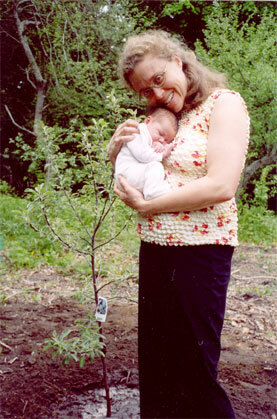 Susan, 8 day-old Avery Elazar and his newly planted apple tree.